The debut game from developer SUDA51, "The Silver Case" is fully remastered, localized into English for the first time! I have a hard time putting together what exactly happened in the The Silver Case, but it’s a testament to the writing, characters, and mood that I want to figure it out. Portions are often slow, dense, and overbearing. However, the relatable character moments, intriguing short stories, and strong visual style eventually won me over, even if I had to wade through some rough edges to get to them. 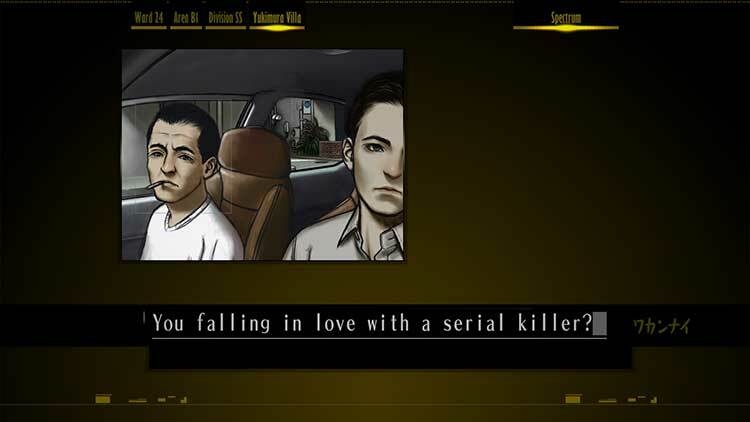 The Silver Case HD Remaster might seem visually dated and it has that unapologetic approach to puzzle solving that only retro games can provide, but the characters and story connecting them truly stands the test of time. I was completely drawn into the mystery and world of the game that it became difficult to take breaks or attend to daily activities. 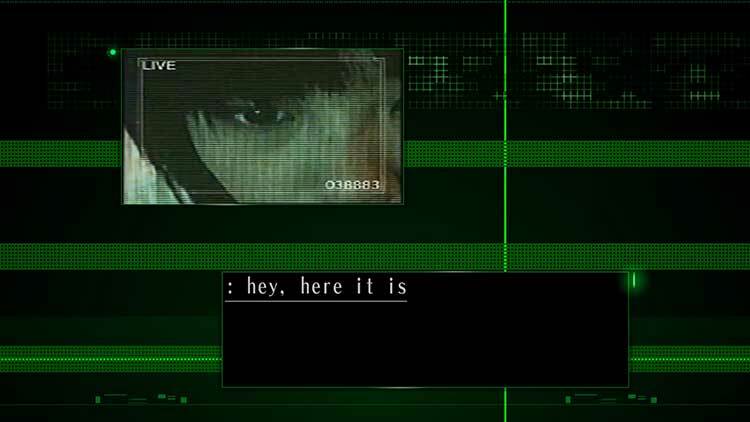 The Silver Case is best enjoyed as an intriguing historical document: a statement of intent from a developer that would go on to bigger and better things. Removed from that context, however, it is difficult to recommend. An utterly glacial pace combined with often nonsensical dialogue means the experience is dull at best – and frustrating at worst. The Silver Case is definitely not for everyone. While it’s visuals and presentation may prove interesting to some, the issues with its gameplay and some of its storytelling could turn off others. Those unfamiliar with Suda’s style may find the themes and pacing of the game remarkably slow. 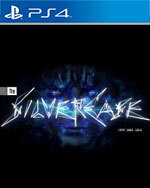 But fans of Suda’s work will definitely enjoy The Silver Case as it showcases his unique style incredibly well. Regardless of its setbacks, the PS4 release of The Silver Case is a unique and complex experience that could easily draw in those who are open to playing something undeniably strange and different. In the end, The Silver Case is a strange, but interesting title. I can’t really fault it too much for its design. This is a game from 1999 after all, but some of the dialog choices made and what could have been fixed a bit in a new translation could have helped the hokey exchanges from time to time. While it's nice to see how far Suda 51 has come, only diehard adventure and Suda 51 fans will be able to appreciate this. 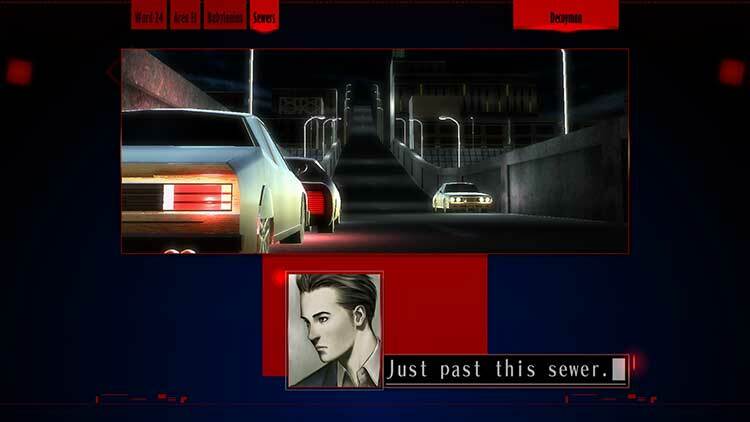 The Silver Case hasn't aged well, and feels both clunky and underwhelming. This feels like a first attempt, and compared to many others, it's a novel one. Still, it's hard to appreciate the beauty of a mirror under all the dust, and The Silver Case is definitely a dusty one. 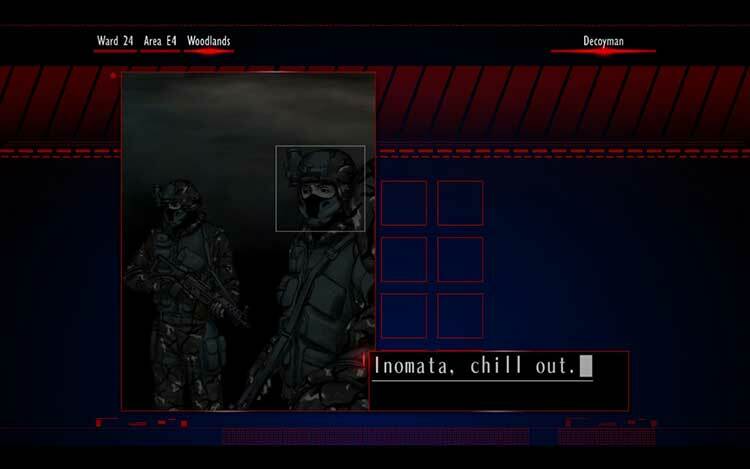 El quid de la cuestión en The Silver Case está en qué clase de juego busca el usuario. No es en sí una aventura gráfica al uso, ni tampoco un juego de investigación tridimensional, sino un cocktail entre ambos y una novela visual. Es largo, requiere concentración y en general nos ofrece una experiencia que puede llegar a resultar larga al jugador más habituado a juegos recientes. Una pena lo de que no llegue traducido, pues habría acercado la historia a más gente. 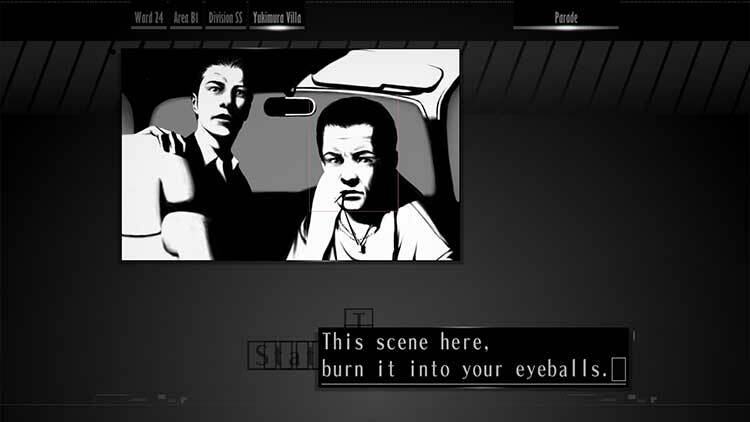 "The Silver Case" ofrece una experiencia de juego un tanto peculiar. Si bien es una visual novel común, su trama de intriga, su banda sonora y sus momentos de exploración le dan un toque diferente respecto de otros juegos del género. Eso si, hay momentos en los que la trama se hace un tanto confusa y además de que el juego está íntegramente en inglés. Aún con ello es una interesante opción para los fans de las novelas visuales o que busquen una propuesta de juego diferente. Nanti d'une approche unique, The Silver Case est un titre honorable. Très "old school" dans son esprit, il souffre finalement des mêmes errances qu'à son époque. Mais en 2017, ces dernières prennent encore plus d'importance. Si l'absence de voix est préjudiciable, il faut aussi se contenter de la traduction anglaise, d'un gameplay peu inspiré et de longueurs parfois inutiles. Bien loin des Beat'em all que nous propose habituellement Goichi Suda ces dernières années, nous sommes en présence un Visual Novel lorgnant du côté du Point'n'click. Et si le scénario, la mise en scène et la narration sont plutôt bons, le jeu souffre malheureusement de l'absence totale de voix, de grandes longueurs dans l'avancée de l'histoire, ainsi que de phases de gameplay peu intéressantes. A coloro i quali si sono avvicinati da poco al genere continuiamo a consigliare prodotti come le collection dedicate a Danganronpa e a Zero Escape, più moderni tanto nell'interfaccia quanto nei ritmi di gioco, ma gli amanti del genere apprezzeranno quanto di buono c'è nell'opera prima di Grasshopper Manufacture.Il voto finale, allora, riflette la dicotomia tra lo stile narrativo, che a noi è piaciuto molto, e l'arretratezza delle fasi prettamente ludiche, che risentono dei quasi vent'anni passati e di un sistema di controllo non esattamente immediato. Uiteindelijk weet The Silver Case niet echt te overtuigen. 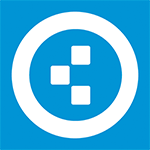 Het spel voelt wat onaf aan, voornamelijk in het visuele deel, doordat er veelvuldig omgevingen opnieuw worden gebruikt en ook een heleboel grafische middelen en stijlen worden toegepast die niet mooi bij elkaar aansluiten. Het verhaal zelf is erg interessant en uitgebreid, maar wordt een beetje ondergesneeuwd door nietszeggende dialogen. Er is voldoende om te ontdekken, maar er zijn daarentegen ook voldoende betere visual novels die je kunt spelen. Het is droevig, maar het meest positieve punt van The Silver Case is zijn degelijke maar niet erg bijzonder plot. Nog droeviger is dat het plot ook nog eens tegen wordt gehouden door onhandige gameplay, holle personages en een boel zinloze, absurde dialoog. Je moet wel heel veel geduld hebben en erg fan zijn van Suda51 wil The Silver Case daadwerkelijk vermaken. Het is maar goed dat Suda hierna actiegames is gaan maken.